78% of Americans say that renting is more affordable than buying a home. What does this mean for you and your investment property? There are sure to be plenty of potential renters out there looking for a property like yours. The question is, how do you ensure you get good tenants in your rental–and keep bad ones out? In this post, we’ll outline how to find good renters who will respect your property. Read on to learn more. If you want stellar tenants living on your property, you need to start with a stellar listing. Slapping a few words and a photo on Craigslist isn’t enough. Most people will begin their rental search online, so you need to create a compelling listing. Start with a hook to entice potential renters. What makes your property unique? What are its best features? What amenities or attractions are in the area? Make your description informative and interesting–without being too wordy. A picture is worth a thousand words, anyway, so your next step is to add high-quality photos to your listing. Want to kick it up a notch further? Add videos or a virtual tour feature so potential tenants can “walk through” the property for themselves. Remember: Your goal is to find high-quality tenants as quickly as possible. You can read more here about the drawbacks of an empty rental property. You might have a mental image of your ideal renter, but the law says you have to treat all applicants fairly. Your city or state may have additional laws on fair housing. Be sure to read up on the local laws so you don’t run into any legal trouble down the road. Once those rental applications start coming in, your first step is to run a credit check. The best tenants are the ones who are financially responsible. Checking their credit will give you an immediate picture of how reliable they are with payments. If they have an established history of paying their bills on time, chances are they’ll pay your rent on time too. In addition to their credit score, look for any past evictions, civil suits, or bankruptcy. A tenant’s debt-to-income ratio is another important factor. Ideally, a renter will have income at least three times the monthly rental fee. Their amount of existing debt should factor in too, though. If their monthly debt payments eat up most of their income, they may have a hard time paying the rent. Criminal records are public information. In this day and age, you can never be too careful–screen all applicants with a background check. Start with an official ID to ensure the applicant is who he says he is. Run a search on a federal, state, and local level for criminal and court records. You might also run a search through the department of corrections offenders and the sexual offender database. If you don’t have the time or know-how to run all these checks yourself, hire a reputable screening company to do it for you. Next on your list of how to find good tenants is to verify their source of income. Pay stubs are the easiest way to see how much the person makes and how often they’re paid. In lieu of paystubs, you might also ask to see the deposit history on their bank statement. An often-overlooked step is to call their employer directly. This allows you to find out how long the person has worked there, their monthly earnings, and how reliable (or unreliable) they are. If possible, call and speak with at least two of the tenant’s previous landlords. This will give you a better picture of how good (or bad) of a tenant they were. Ask if the tenant paid their rent on time and gave proper notice before moving out. Find out if there was any damage to the property or other serious issues. Were they clean and respectful of their neighbors? Did they follow the landlord’s rules, or did they often complain or make excuses? 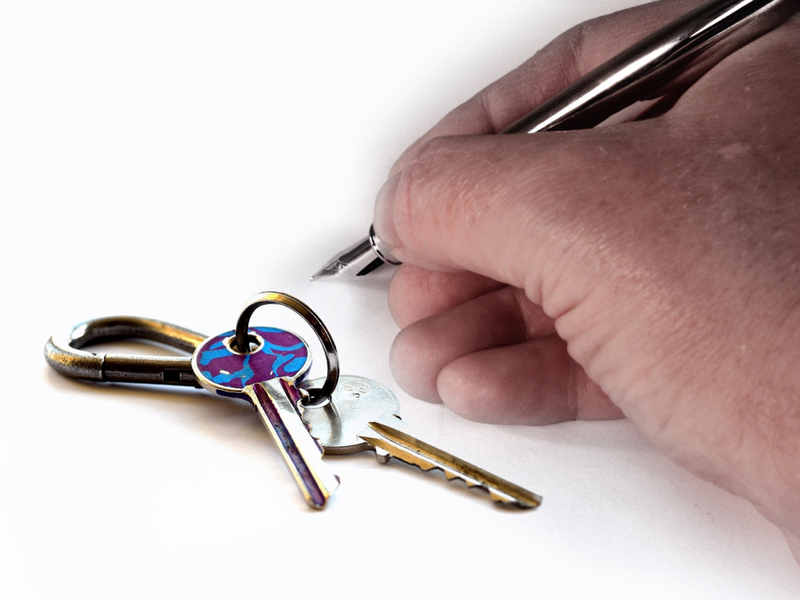 If the tenant is a student or first-time renter, ask for a responsible co-signer on the lease. Screen the co-signer the same way you screen the tenant. A final consideration is the tenant’s overall stability. How long do they stay in each place they live? Do they have a history of staying in one residence or job for a while, or do they bounce around every few months? If the person moves often, chances are that pattern isn’t going to stop. Unless you want to go through the effort of finding another new tenant, look for someone with a history of staying put for at least a year. The same goes for employment. If the person switches (or loses) jobs every few months, he may have a hard time making regular rent payments. Above all else, go with your gut. If something about the person or the application seems “off,” don’t ignore your intuition. There will be no shortage of other renters to choose from. Once you’ve found the ideal investment property, the next challenge is filling it with tenants. Not just any tenant will do. You want to ensure your renters will pay you on time and take care of the property you own. Before you place your next rental ad, refer back to the above list. That way, you’ll know you’re attracting quality tenants for your investment property. Speaking of investments, what else are investors doing in 2019? Check out our recent post to stay up with the latest investment trends.